We staff for engineering and manufacturing positions across many industries. Today we are happy to celebrate the 100th birthday of the Toy Industry Association. Over the past 30+ years our partners have placed hundreds of talented individuals for engineering and manufacturing, and yes even in the toy industry. It’s pretty neat to know the people we have placed now develop, design, and create some of the best toys on the market. Toys are such an important part of childhood and early development. Today we celebrate how far the industry has come and honor those who have worked with us in the past. The toy industry is technical and precise with a lot of moving parts. Many people have to work together to make it successful, from design engineers to quality assurance to manufacturing and even the packaging. Some of our favorite childhood toys are made right here in the Philadelphia area! Started in 1833, as a producer of “fashioned horn, ivory, and tortoise shell into Spanish combs for the Southern aristocracy.” They are now known for their model railroad product lines. For being 180+ years old they don’t plan on going anywhere anytime soon, they even have a smart phone app that can control model trains! Started in 1885, Binney and Smith, Crayola produced pigments and colorants used for industrial uses. In 1903, wax crayons were created as a collaboration between Binney and his wife, who was a school teacher. Today they have expanded many of their product lines and even have an adult line of coloring books. K’nex might be the youngest of this group but they are definitely not the least. Known for their construction building toys, the company has been around since 1992 and is a direct competitor of companies like LEGO. Even though toy manufacturing might not be your first thought when you think of Philadelphia, we do host some of the best, well-known heavy hitters. 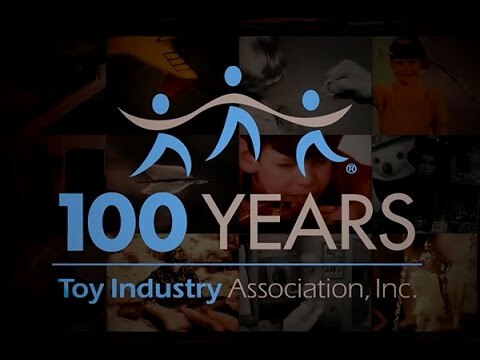 To learn more about the 100th Anniversary of the Toy Industry Association check out video below.